A green wall of Jasmine greets our artisans at the entrance, providing fragrance and protection from mosquitos. A patchwork of the colourful wraps we have created over the years adorn the ceiling. Regional handmade mosaic-style Athangudi tiles were used to decorate the floor. The space is divided into sections by upcycled doors and window frames. Designed to create an ambience of well-being. 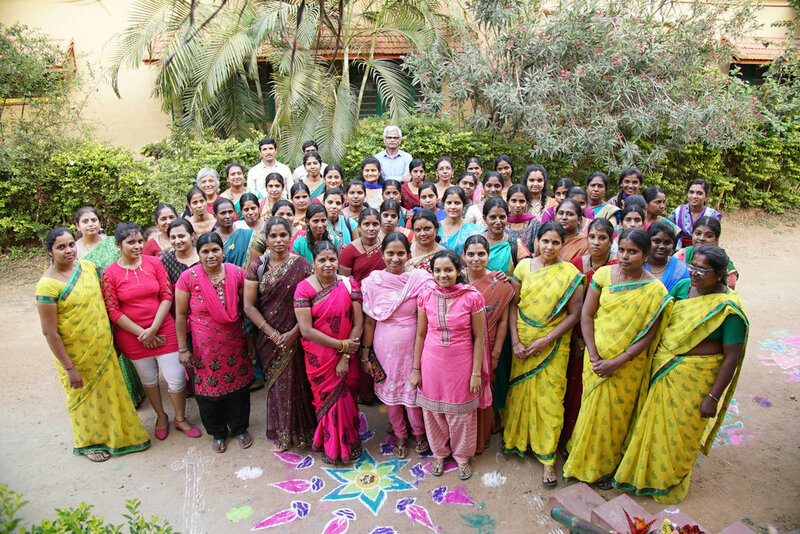 in 2018, our artisans moved into a new work space in Mysore, southern India. it was built with our re-cycle, re-use, re-invent philosophy in mind, and designed to create an ambience of well-being. the unit is decorated with local and up-cycled materials throughout. 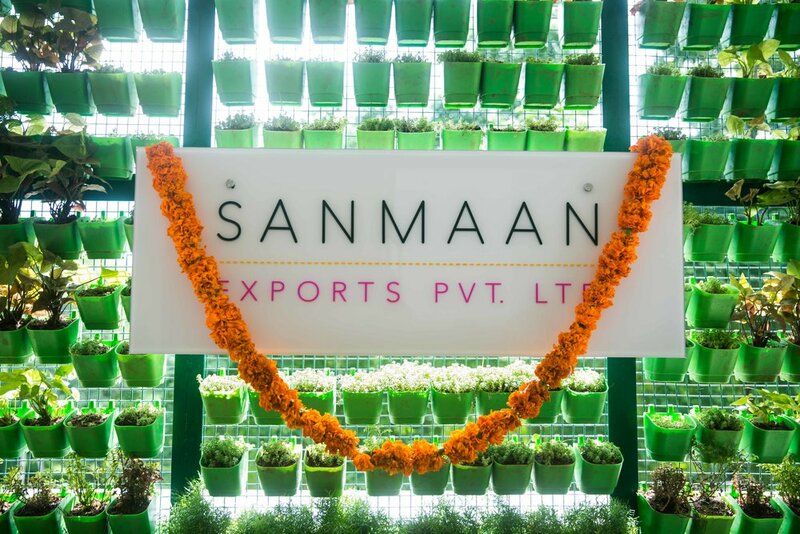 a green wall of Jasmine greets our artisans at the entrance, providing fragrance and protection from mosquitos. a patchwork of the colourful wraps we have created over the years adorn our ceiling, and the space is divided into sections by up-cycled doors and window frames. local craftsmen were employed to carry out the work and regional handmade mosaic-style Athangudi tiles were used to decorate the floor. our artisans can now look forward to coming to work in the very special unit we have created.